Part of the Stone Collection, the Sonya Table was inspired by the soft curves of tumbled stones from the sea. 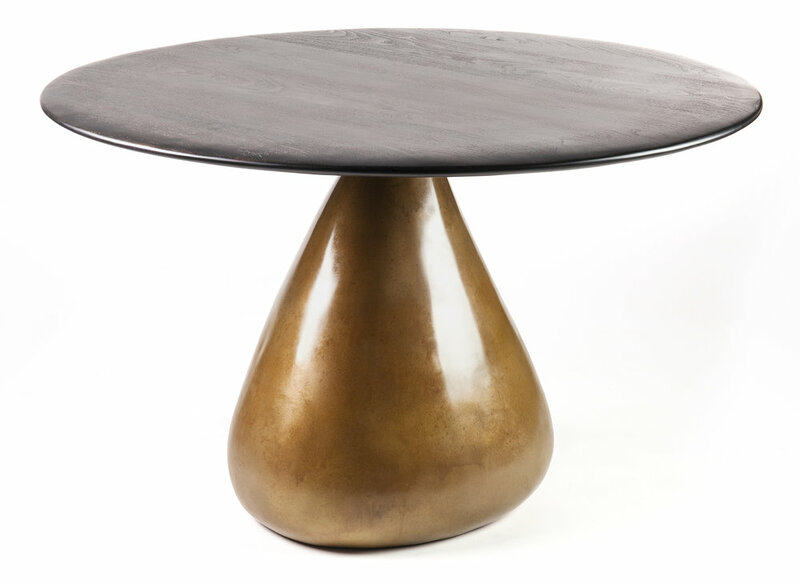 This table showcases a meticulously hand sculpted, convex bronze base. The table top features a slim silhouette with a sloped, gracefully rounded edge. Achieving a striking balance between solidity and lightness, the Sonya Table is perfect as a dining table or for an entryway. Each table is marked by unique characteristics, as they are made to order by hand.